Kei hea te komako e ko? Where will the bellbird sing? We at MENZA believe that music education is in crisis in New Zealand Primary Schools and that it is a lottery if your child is going to get a basic singing or classroom instrumental programme. Music education at primary school level has become a privilege for a few rather than a right for all. Professional development for primary school teachers (apart from the biennial TRCC conference) has become the work of incorporated societies and charitable trusts such as MENZA, Ukulele Trust and ONZA. We believe that every child deserves the best possible education and that includes the Arts being delivered consistently across all schools. We have a world leading Arts Curriculum but question why the Ministry is failing to resource or support teachers with its implementation – otherwise – why have it? No resources to support classroom music. The last Kiwi Kidsong Book was produced in 2010 and was a lifeline for classroom teachers. It is taken for granted that students should read material that is relevant and culturally responsive to them but the reality is that many teachers now rely on overseas content to support their classroom singing programmes. No Music Advisory Service since 2010. Priority for these services is with Numeracy and Literacy. Many primary school teachers are paying for their own professional development (via MENZA, ONZA & Ukulele Trust). Teachers wanting support to implement a classroom music programme are reliant on the works of charitable trusts that have a limited reach throughout the country otherwise, there is no support for teachers who desperately need it. Move towards assessment based system centred on numeracy and literacy. As a result there is limited time to teach anything in the arts. It follows that if nothing is being reported to the Ministry about the Arts, then what is actually being assessed and taught in the first place? What is MENZA fighting for? Quality annual singing / instrumental resources for every primary school in Aotearoa / New Zealand. MENZA recommends and updated version of Ukulele Songbook be made available to all primary schools in Aotearoa New Zealand to support quality singing and classroom instrumental music. This would allow teachers to develop their musicianship alongside their pupils with culturally responsive material relevant to pupils today. Adequate training in classroom music for teacher graduates. Every teacher graduate should have some confidence in leading singing and/or instrumental music (ukulele) and understand how to implement a music programme in their classroom. Ongoing professional development and learning opportunities for teachers. 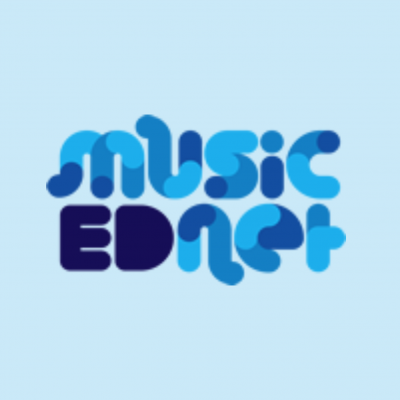 Teachers need to keep abreast with the most up to date material, pedagogy and being able to network with others to learn about what is best practice when implementing a classroom music programme. A Music Specialist / Lead Teacher in the performing arts at every primary school – funded from the school’s operating grant instead of being reliant on fundraising or using teacher release time. Parity with the secondary funding for itinerant music teachers.